Hey Hey friends, it’s Friday! 🙂 Did you have a good week? I feel like our family was just rushing here and there all week long and gosh darn it, I’m tired! 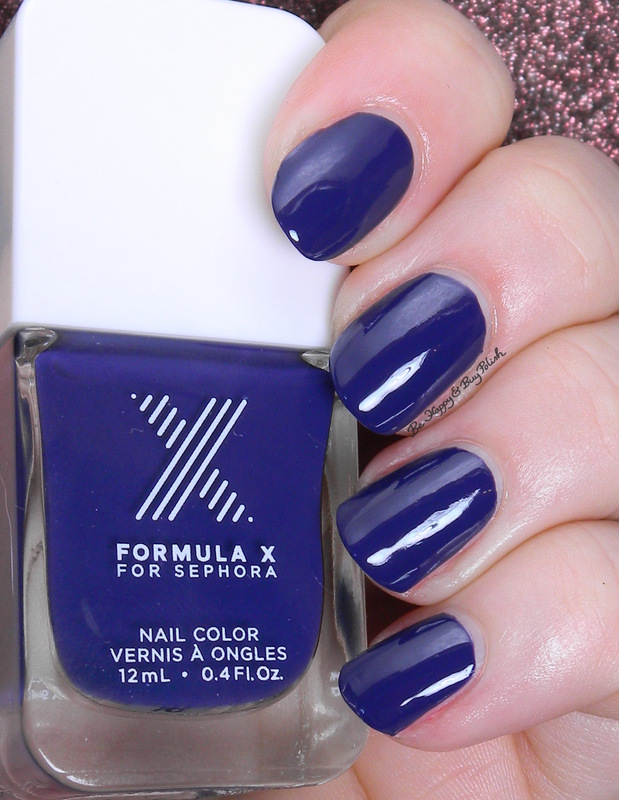 😛 But today I have a really lovely polish combination for you from Sephora Formula X: Desire and Boom. I paired this with Boom because, well, durr, it’s a bright blue with a navy blue. Win win! I did set this upside down while applying Desire (so, maybe about 5 minutes total?) so what you see is 1 coat with just a touch of dabbing to cover up bald spots. Still though! Boom was in a three pack that I purchased from Ross (along with Blast Off seen here) and another glitter topper I’ll show you soon. Desire was a clearance buy from Sephora inside JCP. See? I told you that I hate paying full price for these! Anyway, what’s been your latest steal of a deal polish buy? I’d love to know! I LOVE the combo!! So pretty! Drool! Beautiful! 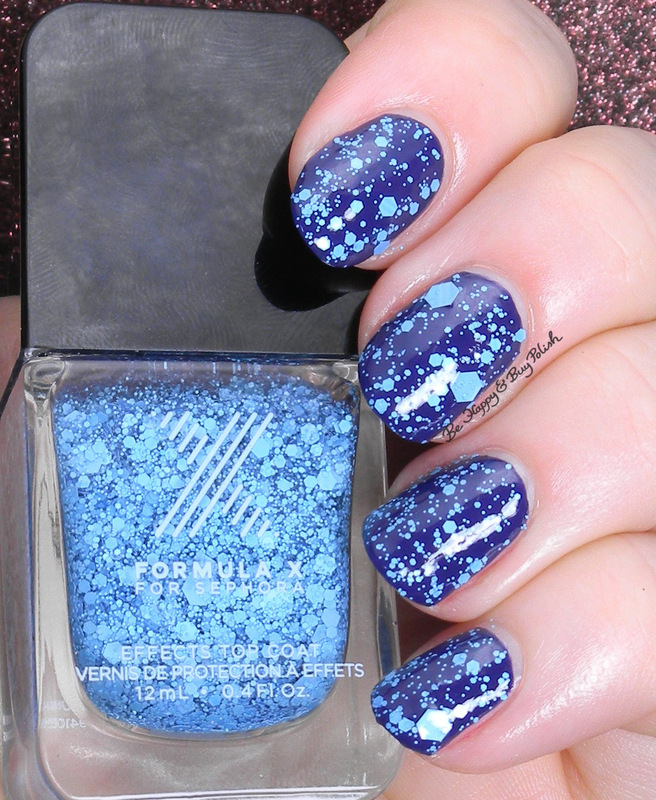 Formula X line has some really gorgeous glitters! I was able to find some from the explosion collection last year at Marshall for half the price! I hate paying full price for them too lol. I love the color combo! That glitter is beautiful!!! OOOh these are so pretty together, thanks for introducing these colors to me! The glitter on top is great! I got that 3 pack at Ross also. I looked at it probably 3 times when it was $9.99 but didn’t buy it. Then I went back and it was on clearance for $4.99! I won’t buy them full price so I totally scored. And until I saw this post link I thought Blast Off was a black cream because it looks that way in the bottle and I hadn’t swatched it yet. Lol. They really are great polishes. Gorgeous combination! That blue glitter is to die for. That’s gorgeous Jessica! I love single colors glitter toppers like these :). This is a fantastic combo! I love that glitter, it’s so fun! What a cool pairing of colors and the finish is gorge! These two polishes look like they were made for each other. Beautiful combo. These two work great together hey!